Whilst I was foraging around for photos to go with my little To Build a House post, I came across some amazing images that I just couldn't keep to myself. 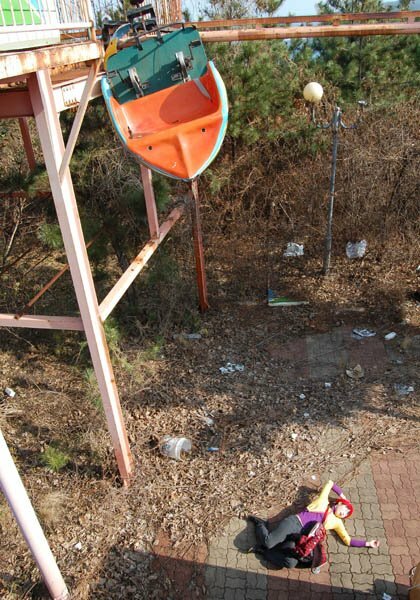 I could probably do a weeks worth of posts on the abandoned houses alone, but my favourite images are of deserted theme parks. How anyone could walk away from a theme park and never turn back, I'll never know. 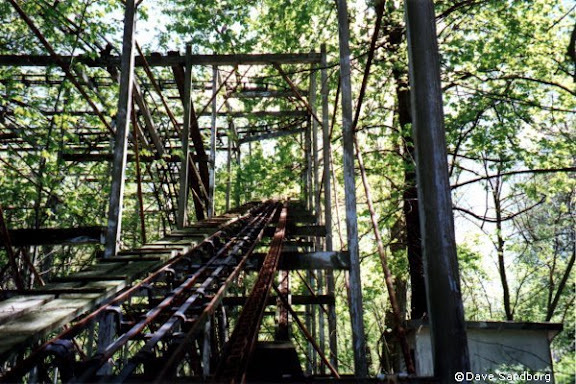 My absolute favourite deserted theme park (yes, there are many to chose from!) 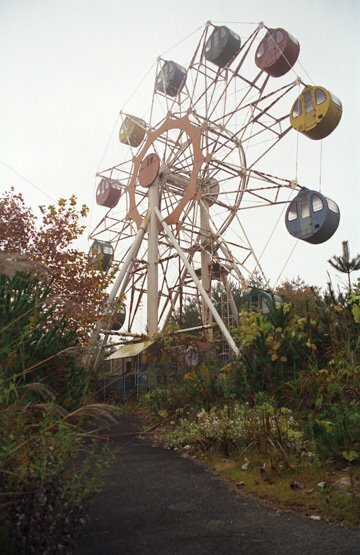 is this one in Tohoku, Japan. The mist. 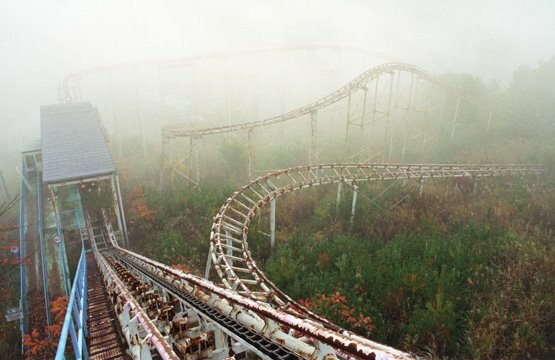 The rollercoaster. I have no words, but I want to be there. 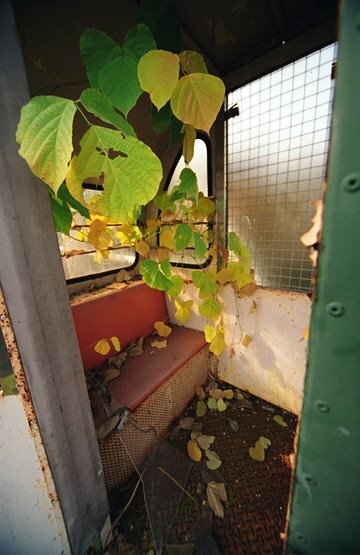 The ferris wheel is fantastic too, kind of satisfying to see nature making its mark. 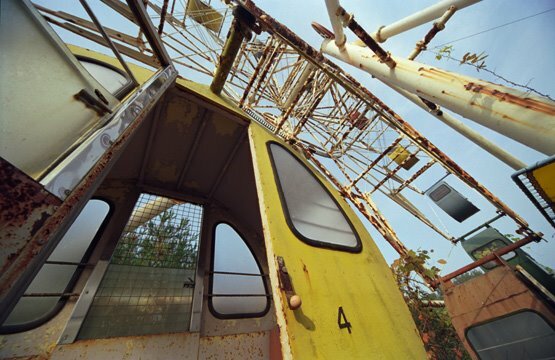 Maybe I'm morbid, and maybe I have an unhealthy disrespect of phrases like "health and safety", but I think an abandoned theme park would be an epic venue for an epic party. Halloween is the obvious choice, a little too obvious perhaps. Maybe for a super quirky wedding. 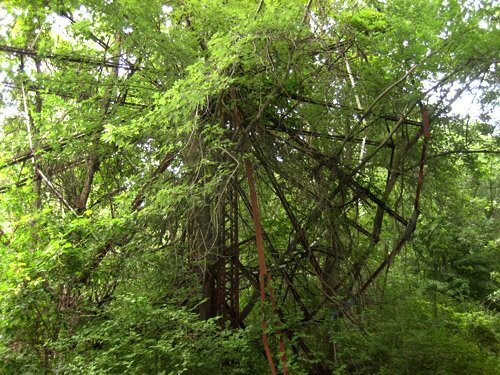 This park in Ohio looks a little less amenable to parties - nature is definitely winning the battle here. The photos are from over 11 years ago, and I haven't been able to track down anything more recent. Any people from the Great Lakes region reading? 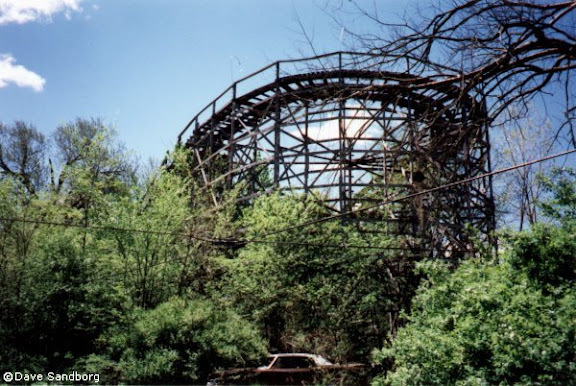 I would love to know how time is treating this abandoned gem. 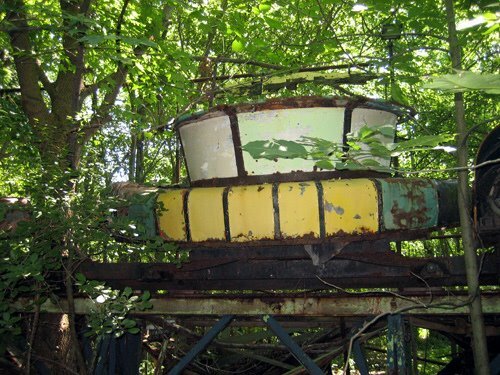 This ferris wheel is definitely fighting a losing battle. 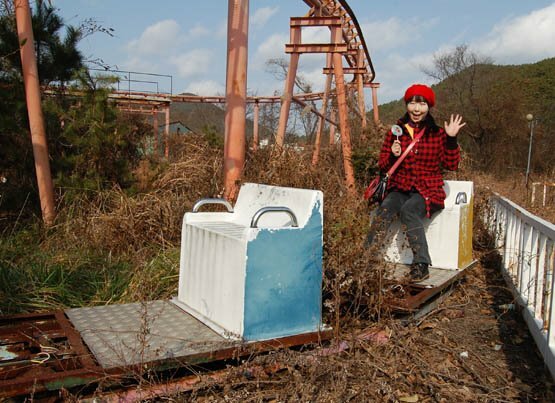 And the last of my favourite abandoned theme parks is this one in South Korea. Perhaps not quite as enigmatic without the mist and the overgrown vines, but how can you resist a girl with a lollipop?! Maybe I have a dark sense of humour, but this last picture had me in stitches. Then again, maybe I'm just easily amused. Which probably goes a long way to explaining my love of amusement parks. I LOVE dodgem cars (a rare opportunity for me to flaunt my aggressive driving skills! 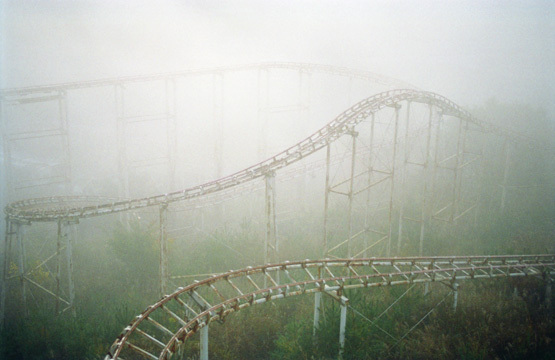 ), but there's nothing quite like a rollercoaster. 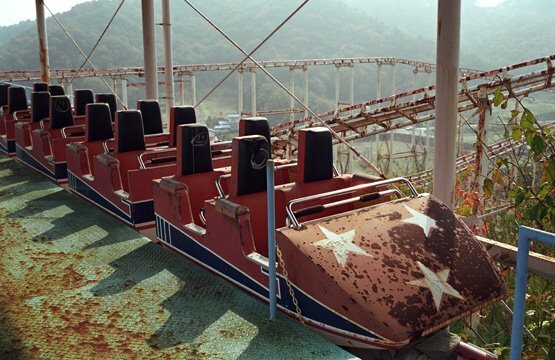 What are your favourite ride? 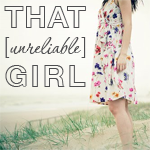 Are you a carousel girl, a ferris wheel peruser, or a flat out adreneline junkie like me? wow, these images are so spooky. 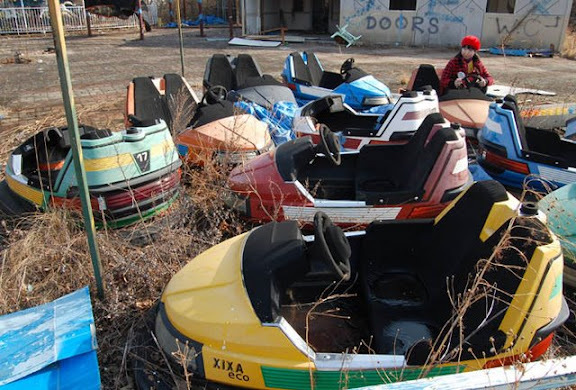 the abandoned dodgem cars make me a little sad...i love dodgem. I am so happy you shared these. I think I would finally have to buy a second battery for my camera if I was going to one of those places to shoot. The photo opportunities are endless (except the ones involving me climbing high places). Absolutely freakin' marvelous. 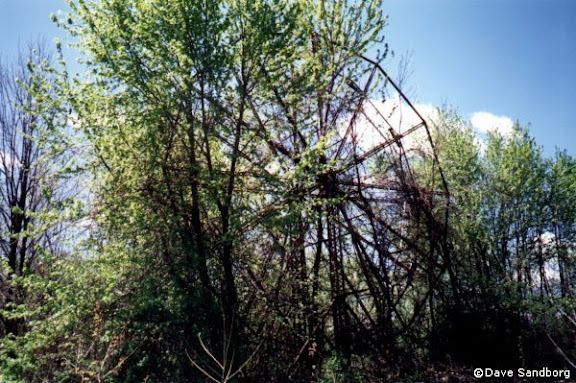 How incredible would it be to have that decaying ferris wheel at the bottom of a huge rambling garden, peaking out between the trees. Hooray - great find! i dont know why but some of the photos are a little creepy, like something out of a scary movie. 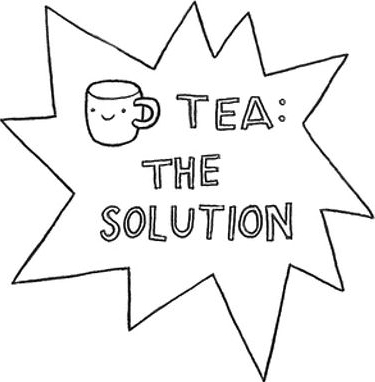 but i love them all the same. and i especially loved the one with the leaves. very cool! Vanya - Imagine having a killer tea party in the huge rambling garden! With fairy lights on the ferris wheel. We need Tim Walker to make this happen! Leah - Very true, you can almost see a guy with a mask and a chainsaw running out at you. That would make for a very interesting masquerade ball!